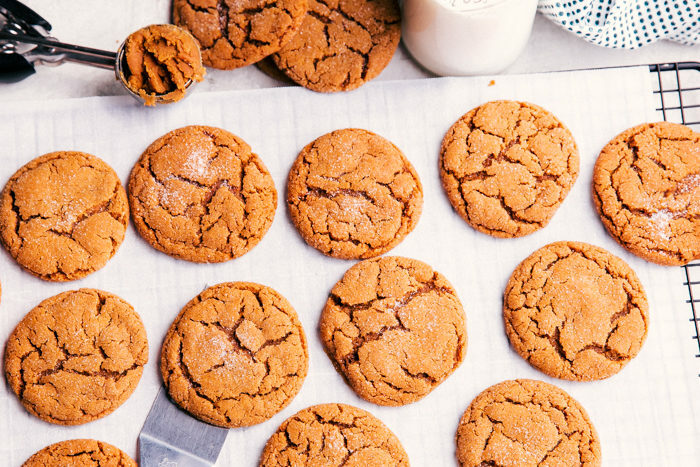 These Chewy Ginger Cookies will be the best thing to cross your lips this fall. So soft and decadent and drizzled with a molasses glaze that is perfection. Have you started dreaming of all things Fall yet? If so, you need to also try this pumpkin cobbler recipe and this crustless pumpkin pie. Both are so delicious and simple to make. If you need some yummy cupcakes for your kids to take to school these salted caramel pumpkin cupcakes are amazing. If you have never made ginger cookies this ginger cookies recipe is the best and is a must to try. They are full of cinnamon, nutmeg, ginger, and molasses and are the soft and delicious. The outside has this amazing crackled crust layer and the inside has this soft ginger molasses that makes your mouth water. 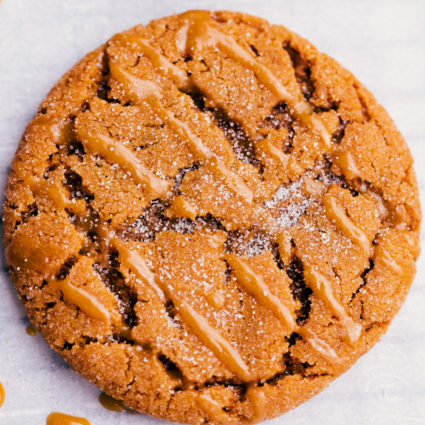 Sprinkle with a little sugar or drizzle with a molasses glaze and this is easily the best ginger cookie recipe that will be on repeat throughout the Holiday season. Often times when a cookie looks so pretty I get super scared. Why? Because in my mind that means it has to be complicated to make, and I can’t do complicated. But good news, these chewy ginger cookies are easy to make, and in my mind are the best ever ginger cookies. Just like most cookies, you mix some key ingredients together place them on a cookie sheet and pop them in the oven. No freezing, no refrigerating the dough, just roll and bake. 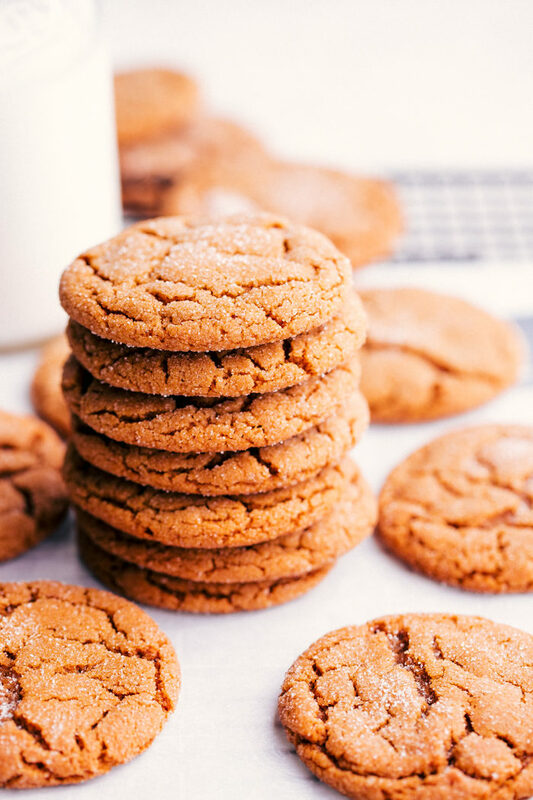 Ginger cookies or gingersnaps are a type of cookie or biscuit made from ground ginger and several other common spices such as nutmeg, cinnamon, and molasses. 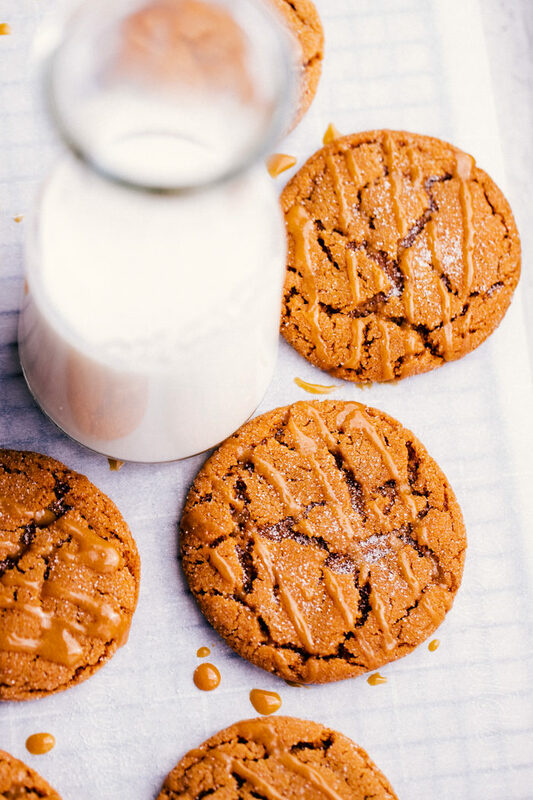 Soft ginger molasses cookies are the best and served with a tall glass of milk you can’t help but smile. I love baking, and since we don’t live near family our friends get tons of treats. So after I made these chewy ginger cookies I took them over to some friends and they loved them. How do you make easy ginger cookies? In a large bowl cream sugar and butter. Add in one egg and molasses and beat to combine. In a separate bowl add flour, cinnamon, ginger, nutmeg, baking soda, and salt. Mix to combine and gradually add to wet ingredients. Using a cookie scoop or by hand roll into balls and then roll in sugar. 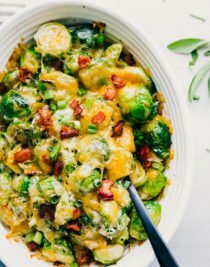 Place on a rimmed baking sheet and bake for 11 minutes. Are ginger snaps and molasses cookies the same? Ginger snaps and molasses cookies call for similar measurements of molasses. Ginger snaps tend to be a bit crisper on the outside, while molasses cookies are soft from outside to inside. How do you make sugar glaze for cookies? In a small bowl combine powdered sugar, molasses, maple syrup, and whole milk. Mix well and then using a fork or piping bag drizzle over the top of ginger cookies. Can ginger cookies be frozen? Yes. 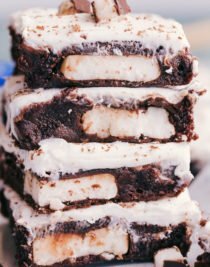 They should be placed on a baking sheet in a single layer and completely frozen. Then they can be stored in an airtight container in layers separated by parchment paper. Don’t get too caught up in the hustle and bustle of all things Fall and Holidays. Keep things simple and delicious with the best ginger cookie recipe that will not only look crackled, but taste soft and chewy in every bite. In a large bowl cream 1 cup sugar and butter. Add in one egg and molasses and beat to combine. 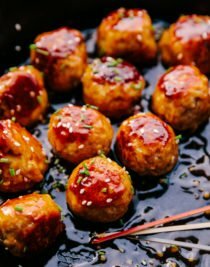 Using a cookie scoop or by hand roll into balls. Using the remaining ¼ cups sugar, pour into a bowl and roll each cookie ball. Place on a rimmed baking sheet and bake for 11 minutes. If glazing cookies: add all ingredients to a small bowl and whisk to combine. Allow cookies to cool slightly and then drizzle over the top of cookies and allow glaze to firm up. Serve with milk.